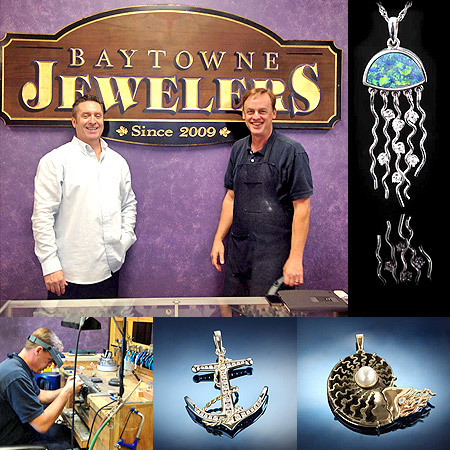 Baytowne Jewelers is a full service jewelry store specializing in custom designed and manufactured jewelry using diamonds and colored stones in gold and silver including beach and sea designs. We carry a vast line of charms and bracelet beads inspired by the beach. We also carry golf, tennis, pearls, wedding, equestrian and nature inspired jewelry lines. We manufacture most of the jewelry found in our store. Jewelry Design and Repair done on site.